Biryani is a dish, that in our view has truly stood the test of 'Unity in diversity'. 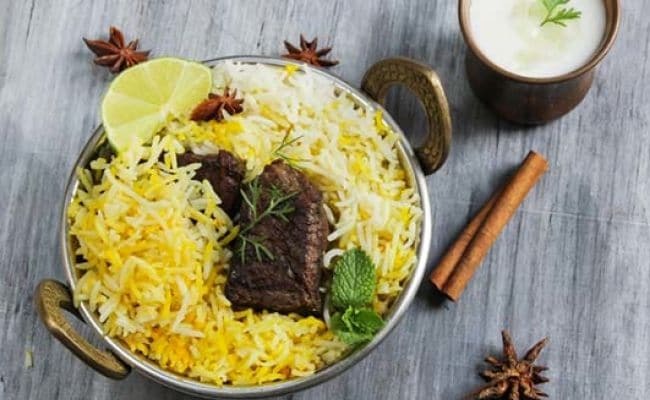 These different types of Biryanis from different states are sure to make you think so too. In about a week from now, India would be celebrating its 70th Republic Day. On 26th January 1950, India pledged to be a 'sovereign democratic republic'. On this day, the Independent India laid down its constitution, charting the rights and duties of each and every citizen living in the democratic state. Unity in diversity became one of India's biggest challenges and here we are 68 years later trying every bit to uphold the motto. Indian food has played its own sweet and savoury role in doing so too. With 29 states and seven union territories, India is a foodie's dream come true! The multifarious cuisine, varied cooking styles and age old traditional recipes from different communities makes India a treasure trove of great food and foodies.There are so many dishes that are common to different states, but each region has added a distinct taste and flavour to it, tweaked as per their local tastes and preferences. Biryani is one such dish, that in our view has truly stood the test of 'Unity in diversity'. These different types of Biryanis from different states are sure to make you think so too. Biryani is a rice-based dish with meat or vegetables, hailing from South-east Asia. The succulent meat, the flavourful rice and the heart-warming masalas has been the star of every party or gathering. And it has to be! Cooking the rich and wholesome dish is no child's play. It takes hours to prepare. For the meat to cook, the masala to blend and the rice to turn out in its grainy perfection- Biryani requires a level of expertise which is not built overnight. Since the time of its preparation till the time it is plated, the fragrant and wholesome meat always manages to be the talk of the town. You saw this coming, didn't you? The culinary treat was invented and mastered in the courts of Nizams. The Kitchens of Nizam saw the most wonderful confluence of Turkish, Persian and Afghani flavours and recipes. Hyderabadi Biryani comes in the class of Pakki Biryani. The meat that is marinated with eclectic spices overnight, then soaked in yogurt before cooking. The gosht (meat) is then meticulously sandwiched between layers of long-grained basmati rice (and cooked on dum, after sealing the handi (vessel) with dough). Hyderabadi Biryani goes best with the spicy and decadent Mirchi ka saalan. Lucknowi Biryani originated in the Princely courts of Awadh and is often dubbed as a Pulav than a Biryani by food experts. But that is not going to stop us from acknowledging this culinary gem in all its glory. It tends to be more meaty and less spicy. As you go down south, the spices start taking a character of their own in the rice delicacy. The rice is cooked separately in spices and marinated chicken is added later. Kolkata Biryani is a sub-variant of Lucknavi Biryani. It was invented in the kitchens of Nawab Wajid Ali Shah soon after he was exiled from his Princely courts in Awadh. What has given Kolkata Biryani its distinct recognition in the food world is its addition of potato along with the meat in the rice. 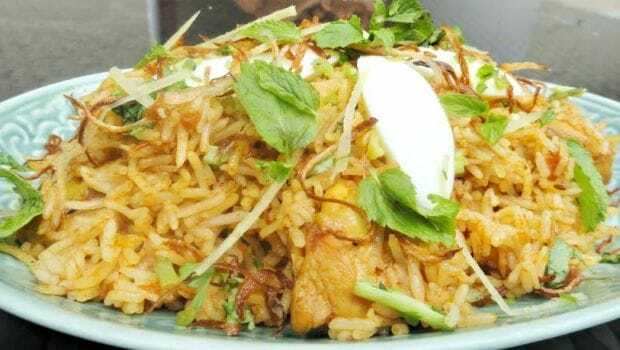 According to popular legends, the genius idea of adding potato to the Biryani was a brainchild of a Khansama of Wajid Ali Shah. Even after the exile, the royal fixations of Wajid Shah were far from dying down. As the time went on, the royal treasury began to take a serious hit. In the times of this fiscal crisis, his Khansamas came up with the brilliant idea of adding potatoes to the meaty delicacy. The proportion of the meat came down too, owing to the scarcity of the money. What was not compromised was the absolutely lip smacking flavours of the rich delicacy. 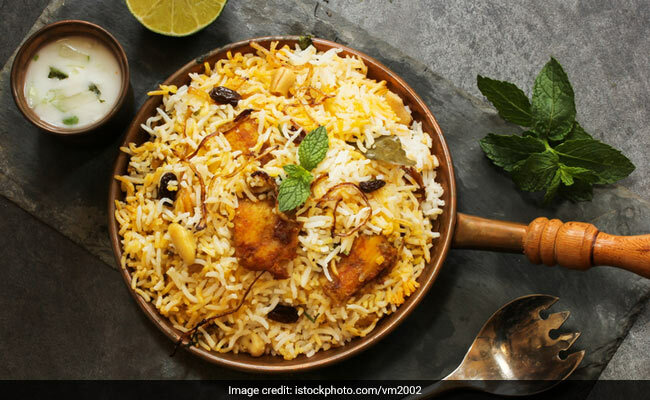 Another popular legend states that the addition of potatoes to Biryani wasn't triggered due to scarcity of money, but because potato was an exotic vegetable of the time. Whatever may be the reason, here we are 200 years later, and absolutely in love with the combination. Kozhikode biryani is perfect for all the spice-junkies out there. What makes this Biryani special is the use of Khyma or Jeerakasala rice. This variant of rice is fragrant, thinner and shorter and is cultivated in Kerala. The rich Biryani is cooked in oodles of ghee and a heart-warming mix of spices and onion to make it a lip-smacking treat. Hailing from the coastal region of Karnataka, the rich Biryani is made with juicy chunks of meat, the fiery mix of masalas and the sweet taste of sauteed onions. Bhatkali Biryani is in fact loaded with generous amount of onions, tomatoes and spices. Packed with roasted spices, fresh mint, finely slit chillies , tomatoes and topped with dry fruits, nuts and onion rings, Sindhi Biryani is all about flavours. Like all pakki biryani preparations, the cooked meat and meat curry are prepared separately and added to the rice afterwards. Sindhi Biryani goes best with accompaniments like raita. Ambur is a small town in the Arcot region. Once a region ruled by Nawabs of Arcot in Tamil Nadu, the courts of Ambur were known for their culinary masterpieces. One such masterpiece you should all try once is the Ambur Biryani. It is known for its biryani with unique meaty flavours made with dried chilli paste and whole spices. The locals generally eat Brinjal Masala as an accompaniment. This dum mutton biryani includes curd and mint leaves, making it almost similar to its counterpart- Lucknawi Biryani. There are many other biryanis that have been making India tall and proud on the world food map since centuries. Bombay Biryani, Memoni Biryani, Dindigul Biryani, Kalyani Biryani and so many more. Our New Year resolution is to taste all of them once this year. How do you plan to go about it? Here's wishing you all a Happy Republic Day!